Dey Street Books, 9780060722715, 400pp. Dita Von Teese is the brightest star in burlesque since Gypsy Rose Lee. As style icon and muse to artists, designers, and photographers, she has appeared on magazine covers and runways for Jean Paul Gaultier, Moschino, and Giambattista Valli, and is the performer of choice for Marc Jacobs, Christian Louboutin, and Louis Vuitton. Her DIY beauty ethos and entrepreneurial ventures—designing award-winning perfumes, lingerie, gloves, and clothes, and as directing producer on her touring stage extravaganzas—have established her as a role model to women. 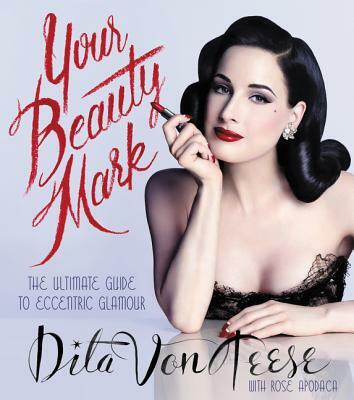 Her books include the bestseller Burlesque and the Art of the Teese/Fetish and the Art of the Teese and Dita: Stripteese. Dita and her feline, Aleister, live under the gaze of the star-viewing Griffith Observatory in Los Angeles. — John Demsey, Group President, The Estée Lauder Companies Inc.